It’s the green hop beer season! One of our most favourite times of the year, where we brewers take advantage of the hop picking season to brew beer using fresh un-kilned hops… and lots of them! 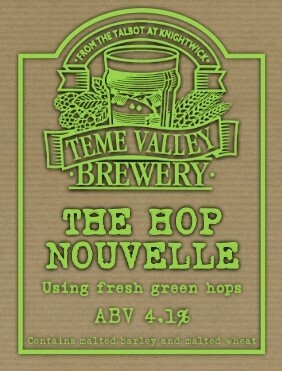 Making it’s annual and always very welcomed appearance is the much loved Hop Nouvelle. This year’s batch is made with Worcestershire First Gold from right around the back of the Brewery.